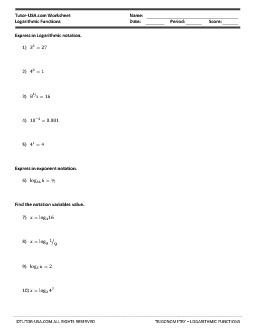 In this free trigonometry worksheet, students must complete problems involving logarithmic functions. Students must express logarithmic functions as exponential functions, exponential functions as logarithmic functions, find missing variables values, and express logarithmic expressions as a single logarithm. Find the notation variables value.